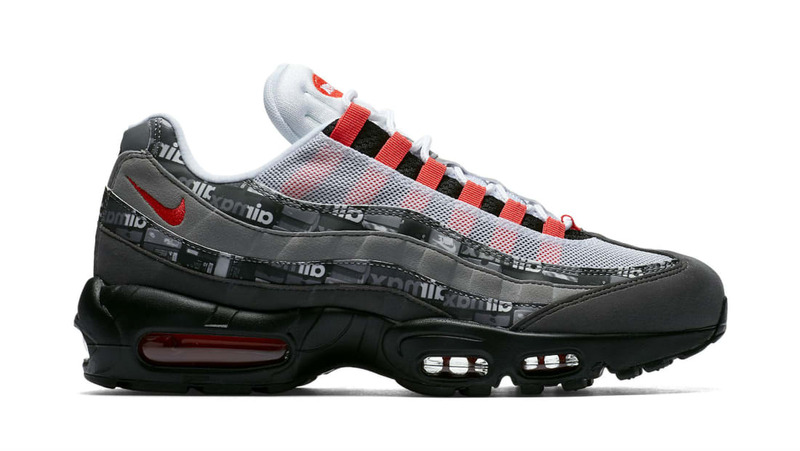 Nike Atmos x Nike Air Max 95 "We Love Nike"
Atmos x Nike Air Max 95 "We Love Nike"
Part of Atmos' "We Love Nike" collaboration with Nike Sportswear, the Air Max 95 sports its familiar grey-toned panels, accented by hits of safety orange throughout. Uniting the shoes in the pack is a Nike shoebox graphic, which runs along the side walls and insoles of this pair. Release date is June 2, 2018 at a retail price of $170. News Atmos x Nike Air Max 95 "We Love Nike"